Bruce Willis headlines this pulse-pounding untold story of World War IIs most heroic battle . When the Japanese Imperial Army invades China during the second great war, the Chinese Air Force are grievously out-manned and out-gunned. Under terrible conditions, and with a lack of resources, weapons and experience, they enlist the help of United States Air Force Commander Jack Johnson (Willis) to train the Chinese squadrons to fight the elite Japanese Zero Fighters. With their city under siege and enemy spies trying to steal a top-secret decoding device, two Chongqing families must resolve a one-hundred-year feud in their struggle to survive the relentless onslaught of air-raids and bombs. 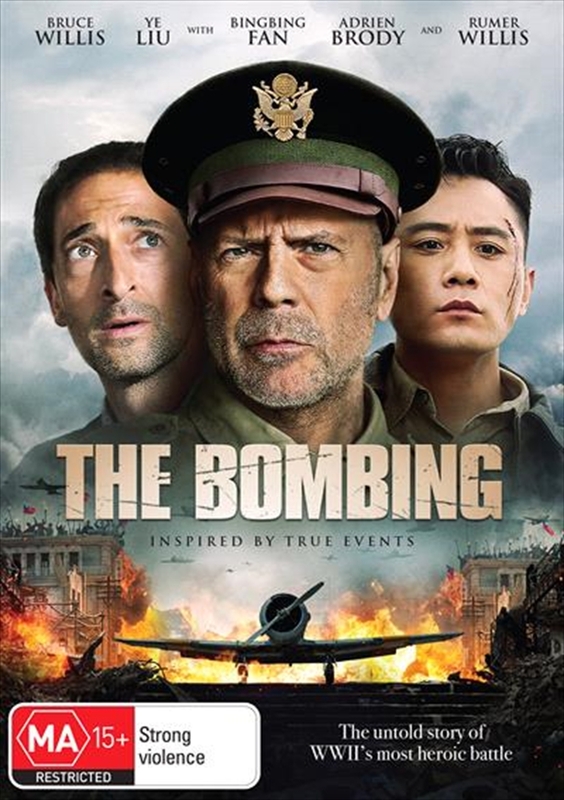 This years must-see movie event, co-starring Academy Award Winner Adrien Brody, BingBing Fan and Nicholas Tse, The Bombing is an epic story of courage, resilience and survival against the odds.